An absolutely brilliant suit! 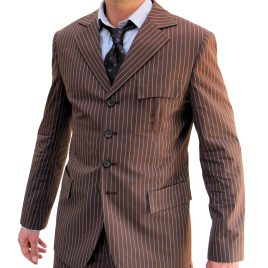 David Tennant and Doctor Who are not so known here in Norway, so I can use this suit both as a casual suit and to impress my (nerdy) buddies! The measurements worked out great too, and the materials feel superb. I was a bit uncertain regarding some aspects of the tailoring and shipping, but Magnoli was indeed very helpfull.